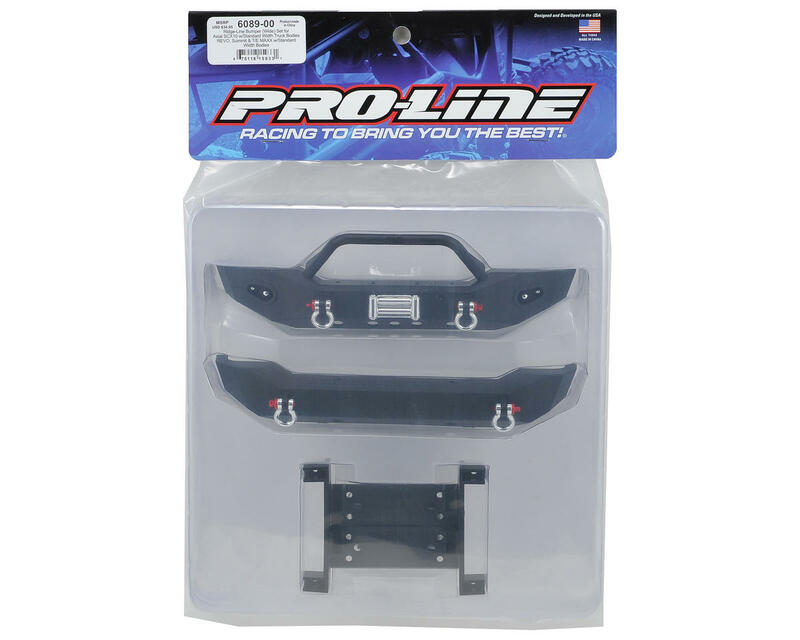 This is the Pro-Line Ridge-Line "Wide" Bumper Kit. This kit is compatible with the Axial SCX10, Honcho and Dingo trucks, as well as the Traxxas Revo, Summit & T/E Maxx trucks. As True Scale Crawling continues to evolve, Pro-Line recognizes the need for ever more realistic accessories. With a passion for detail, and a desire to meet and exceed these needs, Pro-Line is pleased to announce their Ridge-Line series Bumpers. Ridge–Line Heavy Duty Bumpers are manufactured with the Scale Crawler enthusiast in mind. 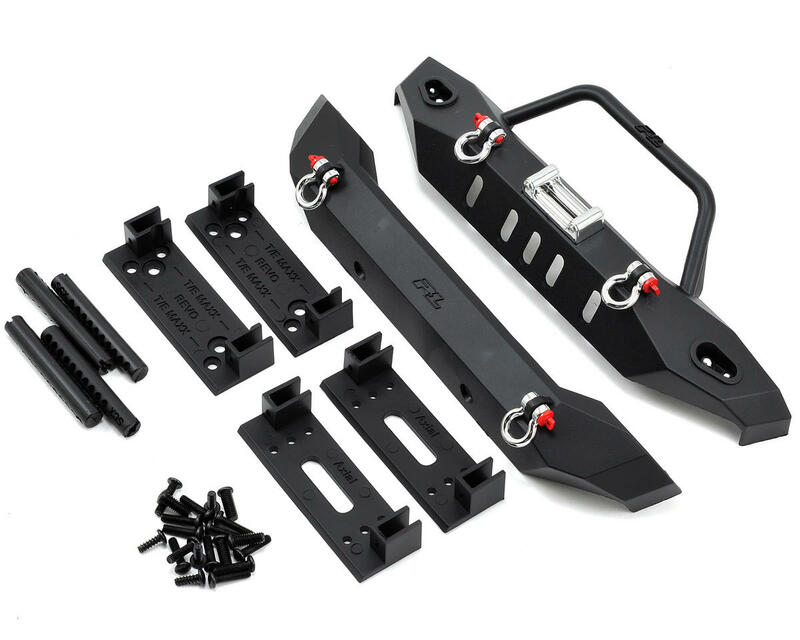 The PRO6089-00 Wide Bumper kit features mounting points for 3mm and 5mm LED lights, as well as dual tow points. There's also realistically simulated roller fairlead along with several mounting points for can lights or other scale accessories. Access ports through the bumper and brackets allow for behind bumper mounting of real scale working winches (Not Included). The 6089-00 Wide kit will fit Truck / crawler bodies up to 7.5” wide or you can trim the ends to accommodate bodies over 8” wide. If you need a narrower bumper, the PRO6088-00 Narrow Bumper Kit is 5.750” wide and can be trimmed to accommodate bodies over 6” wide. Fits Truck / crawler bodies up to 7.5” wide or you can trim the ends to accommodate bodies over 8” wide. I really like the look of these but not very well thought out or of good quality. The mounting point have no threads??? You just push the flat end screw into the plastic and hope it threads in right. Very cheap way to hold something together. I guarantee the first rock a slip into, it’s going to break off.